Thank you for asking Celena! You are not the only one overwhelmed with all. the. things. If your holiday preparations are stressful, this is not the time to declutter your entire home. If you are stuck in a circle of holiday prep, stress and overwhelm don’t take on any decluttering projects. 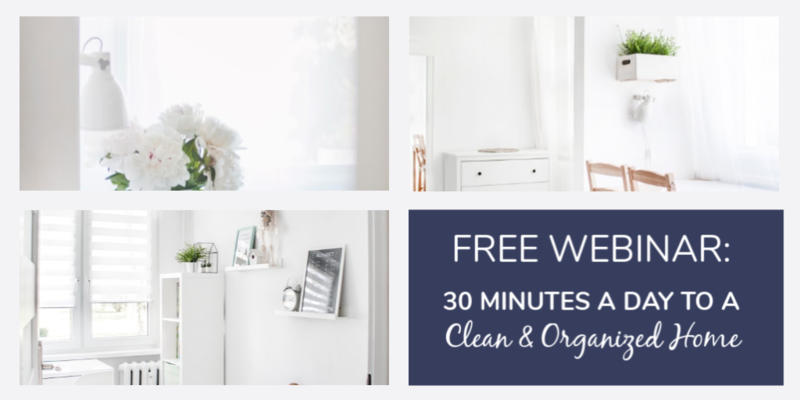 Decluttering can simplify your life, but not if you’re trying to do it in the midst of 142 other projects, activities and obligations, then decluttering is going to stress you out. Save your decluttering projects for the beginning of the year. January is always a wonderful time to start fresh and you’ll have plenty to get rid of when looking at the holiday aftermath anyway. 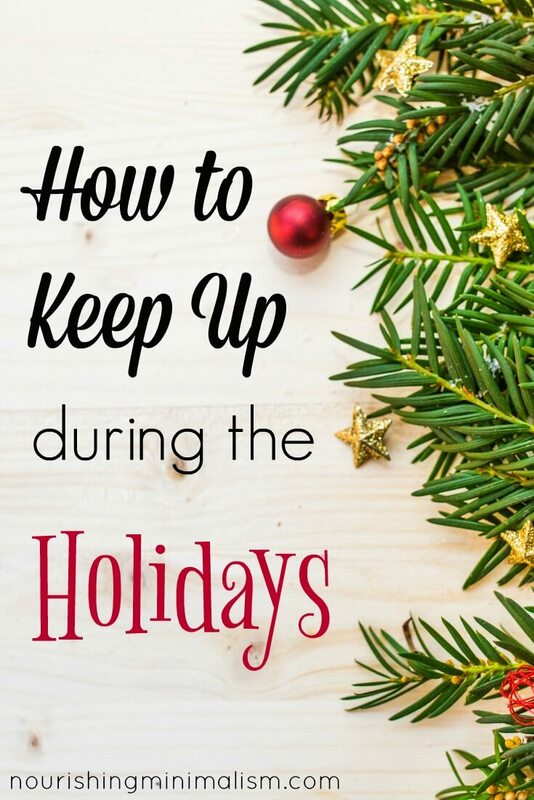 With the busyness of the holiday season on top of everything, it’s hard to maintain a home. But when you keep your focus on the daily and weekly routines of keeping house, it keeps that chaos to a maintainable level. Having your routines on autopilot is the goal: to do it without doing it on purpose. What does that look like? Well, when your daily routine is on autopilot, it’s just like brushing your teeth or taking a shower. We all have a basic routine of taking care of ourselves, often to the point that we go through the motions without thinking about it. The only way to do that is to make it regular. Build it into your morning and evening rhythm of life. After breakfast, before you really “start the day” tidy the kitchen and wash the dishes, repeat again in the evening after you eat and before you sit down to relax or take off for the evening. Has implementing house-cleaning habits been difficult for you? It certainly has been for me! But, I’ve learned to enjoy it and feel so much more in control of my life because of it. Here is a free chart to help you build it into a habit. Have you fallen into the trap of multi-tasking, but never feel like anything actually gets done? Because multi-tasking generally doesn’t work. When you establish single-tasking, your focus is only on one thing. The best way I’ve found to do this is to follow the “Big 3” rule and decide in the morning what 3 things you need to accomplish that day. Begin working on the first item on the list and continue until it’s complete before you move on to your number two. Spend 1-hour shopping on Amazon for things on the list. Set firm plans with parents/siblings for days and times of family gathering. (Optional) Spend 30-minutes shopping on Amazon for things on the list after kids are in bed. When you have so much demand on your time and ability during the early years of parenting, you have to require less of yourself and plan out accomplishing the necessities as a goal. It’s actually important to feel getting the dishes done and laundry put away as a victory! 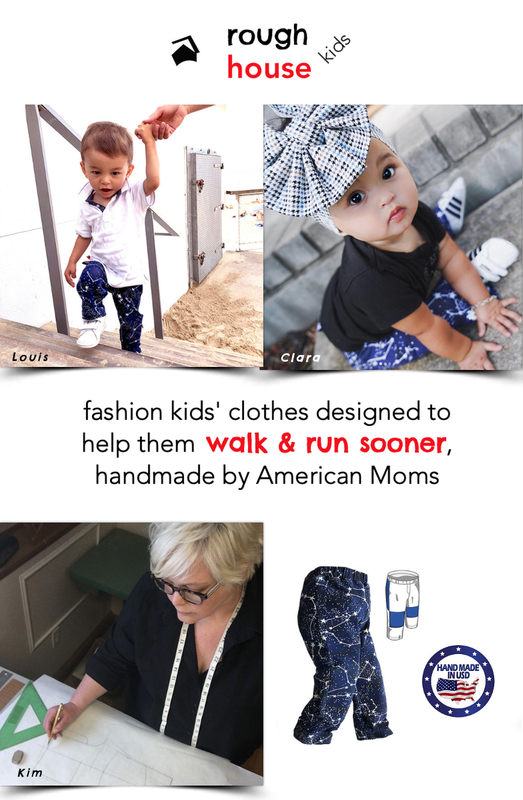 Because moms with little ones around their ankles or in their arms all day means it’s challenging to get those everyday things accomplished. So give yourself some credit with you get them done. Cut some things from the schedule. You don’t have to do everything. In fact, it’s better if you don’t. While you have the family there, talk about traditions – which ones are important? Making Christmas cookies? Decorating a gingerbread house? If I were to put a number on it. I would say focus on 5 things. 5 important holiday tasks, and then 5 important holiday traditions. If you have big traditions like baking a gingerbread house from scratch and that seems overwhelming with everything you have going on, it’s ok to pick up a pre-made package from the store this year. Some years there is so much going on with family life, that to really enjoy the holidays, you have to let go of the tasks and traditions that stress you out. It doesn’t mean you always avoid them. 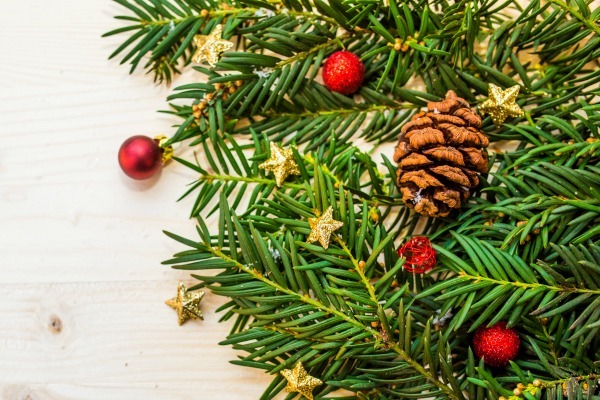 Maybe you rotate and have one weekend each December set aside for a big holiday tradition, like going to the mountains to pick out a tree, building a gingerbread house or making several batches of homemade candy. These are time-consuming traditions, it’s ok if you only do one this year and one next year. Let go of the perfect image. Everyone’s holidays are going to look different and the only important thing is to enjoy each other. If you are so exhausted that playing a board game with the kids means you’ll be grumpy and no-one has fun, then go ahead and make popcorn and watch a Christmas movie instead. If your ideal is to make beautiful Christmas cookies with your littles, but you know if you start baking the kids will get into things and it will take you 3 days to get the house back together, then give yourself permission to buy pre-made cookie dough and a can of frosting. In the end, consider it a win to accomplish any holiday activity. Raising children is hard work, whatever you accomplish is a victory. I just want to thank you for all your practical advice. I also love that you call yourself “The Joyful Space Specialist”. Labels and titles really do affect our thoughts about ourselves. I want my home to be a joyful space as well.